Ever been to Latvia? Me neither, but there is a pretty unique hotel option there for those that can handle a little bit of discomfort. 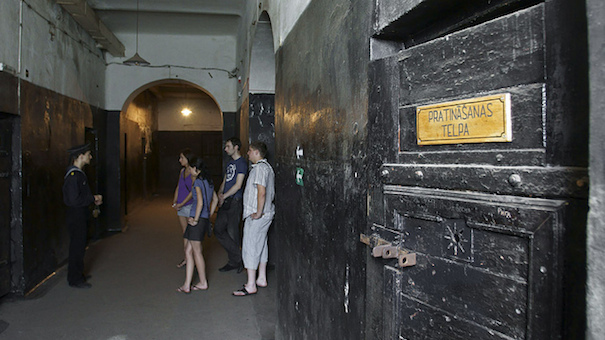 A former military prison, Karostas Cietums is now open to overnight guests (by choice) during the summer months. The prison operated from 1900 until 1997, and still features hard beds and thin blankets. Some amenities include signing up for harsh punishments the prisoners used to face (really). The price? $20 a night. Want the camper experience, but none of the outdoors? 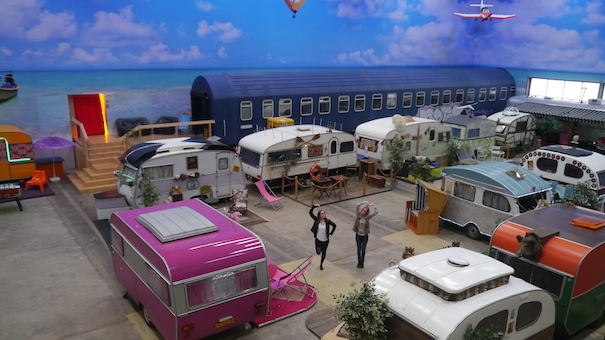 Come to BaseCamp Bonn, where you can sleep in your choice of 15 themed trailers, two VW buses, two Airstreams or two sleepers. The entire hotel is housed in a former warehouse, making for a fun environment of "indoor" camping. Room rates start at 24 Euros a night. 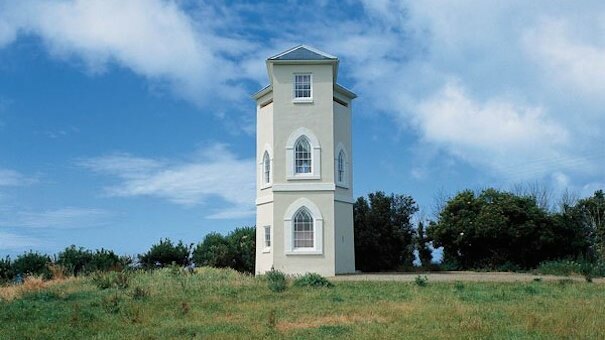 Returning to the United Kingdom, Nicolle Tower is located in Jersey. Built in the 1800s, the tower was taken by the Germans in 1943 and renovated, adding another floor and is about 160 feet high. 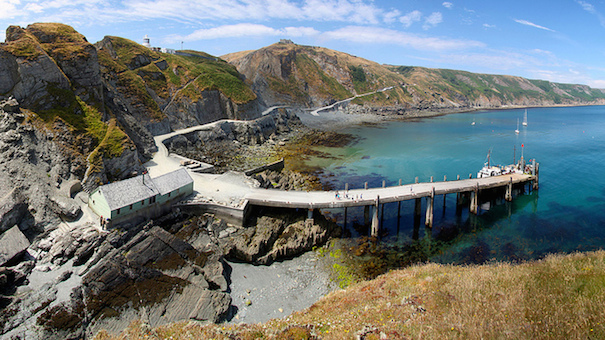 It serves as a great lookout for the sea, and starts at 31 pounds a night. Do you love dogs? Specifically, huskies? Well, there's a hotel on earth for you. 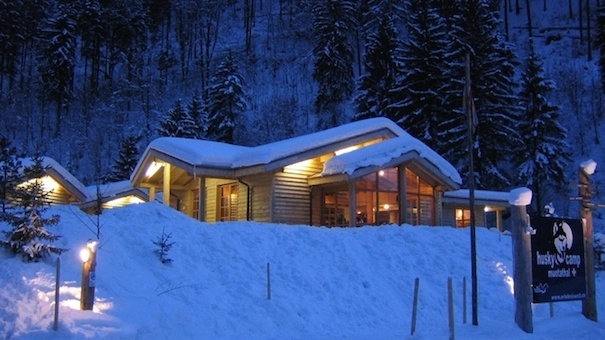 In Muotathal, Switzerland, you can sleep in a hotel that hosts a bunch of Siberian Huskies, who pull sleds and bikes year round in this mountainous region. Rooms start at 34 Swiss Francs. A decidedly luxurious option on this list, you can have access to a former British Governor's beachfront villa for roughly 35 British pounds a night. Featuring sprawling grounds and a pool, this hotel would be very hard to pass up on any itinerary! 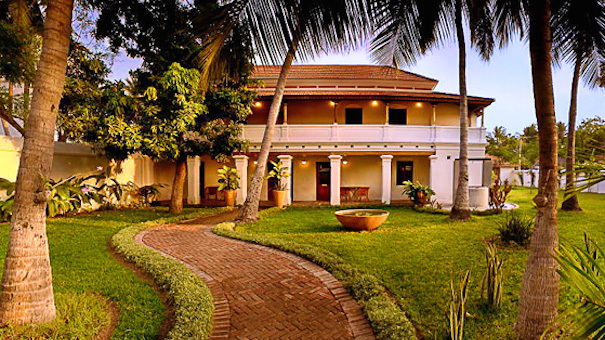 Remaining in India, another villa crosses our path in southeast India. 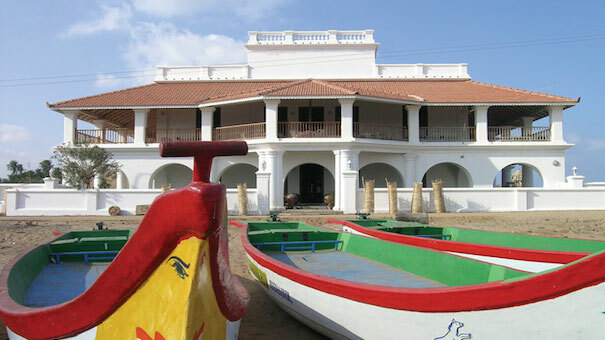 Built in 1620s, this fort, built by the Dutch who were exporting spices and tea at the time, has been protected ever since, and lovingly restored. The manor should be very private — there are only six rooms, which start at 40 British pounds a night. Okay, for any Star Wars fan on this earth, this is a must see. 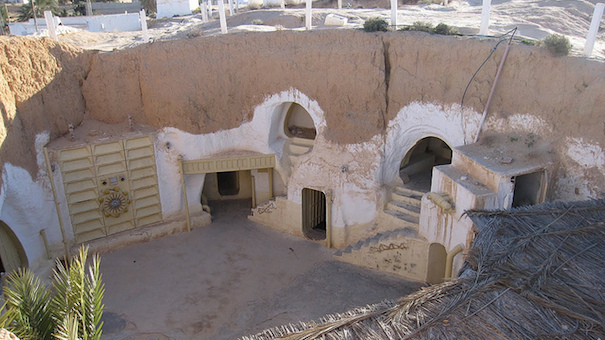 The Lars homestead (you know, Uncle Owen and Aunt Peru that got toasted at the beginning of the first movie?) is now a hotel, and it's awesome. In decidedly budget accommodations, you can live all your Star Wars fantasies until you go numb. Prices are at $10 a night, including breakfast. The Netherlands is known for being quite pricey, so your own hotel room for around $78 a night isn't too bad! In old oil rig "survival capsules" you can spend the night in this surfing community. The boats are still floating in the ocean, and can fit up to three people. 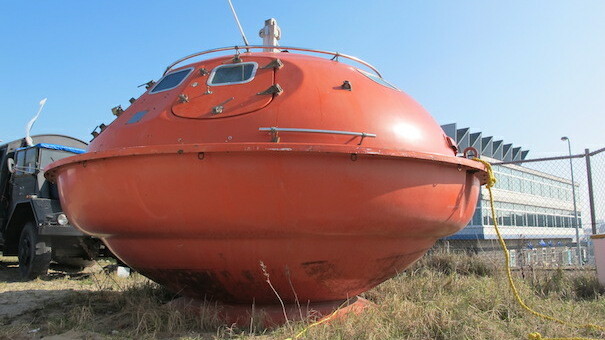 One is even modeled after The Spy Who Loved Me's escape pod! How about a yurt for the night? Right in the middle of the Gobi desert, this eco-lodge has decidedly luxurious tents available for guests, that include a king bed, sink and toilet! And, with horseback riding and hiking expeditions in the nearby Altai mountains, what's not to like? Prices from $80 a person per night. Our final listing has several options available to guests. Would you like a tree house? A yurt? A "knight's tent" just like Camelot? Or how about the "Writer's Cabin?" Well, you can have your pick, at this retreat that aims to get you to reconnect with your inner self and live a healthier life. Doesn't that sound nice? Nights from 55 euros. 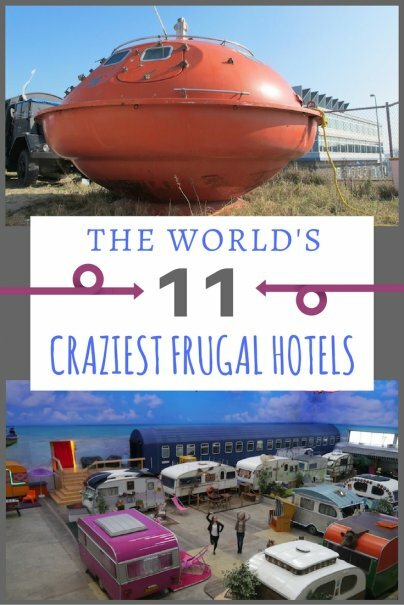 Do you know any other cool, cheap hotels? Please share in comments! Love the indoor camping in a warehouse!